Researchers estimate that proper use of federally-approved car seats could reduce child deaths by 71 percent and injuries by 67 percent. 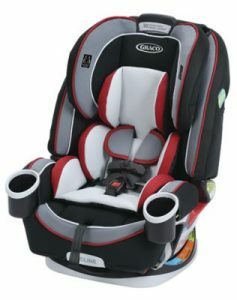 National observational data shows car seat usage rate for children under four years old is above 90 percent while booster seat usage rates for children four to seven is approximately 20 percent. Not all fire and police departments have certified safety seat technicians. We have one! If you would like to have your child’s safety seat inspected or help with installation, please call for an appointment 815.467.5637 ext. 112. 1. All children under the age of 8 years old, must be secured in an appropriate child safety seat, i.e. rear facing, forward facing, booster seat. 2. Starting January 1, 2019, children in Illinois must remain in a rear-facing car seat until they are two years old. 3. If someone other than a parent is transporting your child, you must provide the proper child safety seat to that person. The first violation of this Act is a petty offense punishable by a fine of $75. A person charged with a violation shall not be convicted IF the person produces in court satisfactory evidence of possession of an approved child restraint system and proof of completion of an instructional course on the installation of a child restraint system. The second or subsequent violation of this Act is a petty offense punishable by a fine of $200. 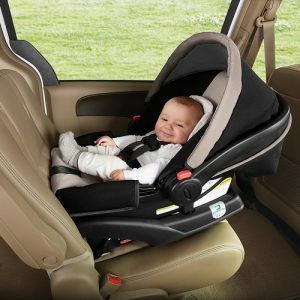 For the best possible protection, keep infants in the back seat, in rear-facing child safety seats, as long as possible up to the height or weight limit of the particular seat. 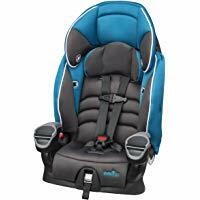 Rear-facing child safety seats protect the infant’s head, neck and spine in a crash. The American Academy of Pediatrics (AAP) recommends children remain in a rear-facing child safety seat until 2 years old (click here for rear-facing recommendation from the AAP). Most convertible child safety seats can be used rear-facing from 5-30 or 40 pounds. If a child safety seat accommodates children rear-facing to higher weights, the child should remain rear-facing until reaching the maximum weight for the child safety seat, as long as the top of the child’s head is at least an inch below the top of the safety seat back. 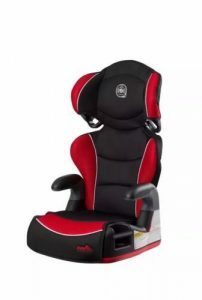 High back belt–positioning booster seats also boost your child up so the vehicle safety belt fits better. 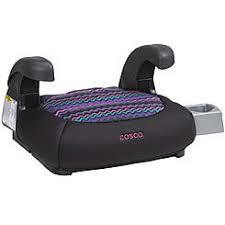 It provides head and neck support for your child if your vehicle seat back does not have a head restraint. It must be used with the vehicle’s combination lap and shoulder safety belt, never with a lap-only safety belt. Never put the shoulder portion of the safety belt under the child’s arm or behind the child’s back. This can cause severe internal injuries in a crash. 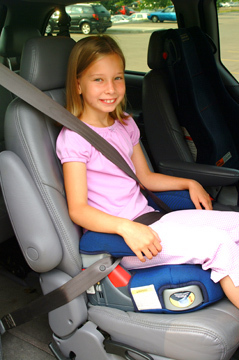 If the safety belt does not fit properly, the child should use a belt-positioning booster seat.